Super-producer extraordinaire Dan The Automator is offering up the chance to be featured on one of his EPs. The catch: you're gonna have to remix him - well, remix a rework to be precise - and it's gonna have to be real goooooood. You may remember Mr Automator aka Daniel Nakamura from Dr. Octagon's seminal Octagonecologyst, Gorillaz by Gorillaz and, erm, Kasabian's latest one. He has teamed up with Jurassic 5's Chali 2na (like the fish) to rework the classic 'Rappers Delight', which can be listened to here via the medium of MySpace. 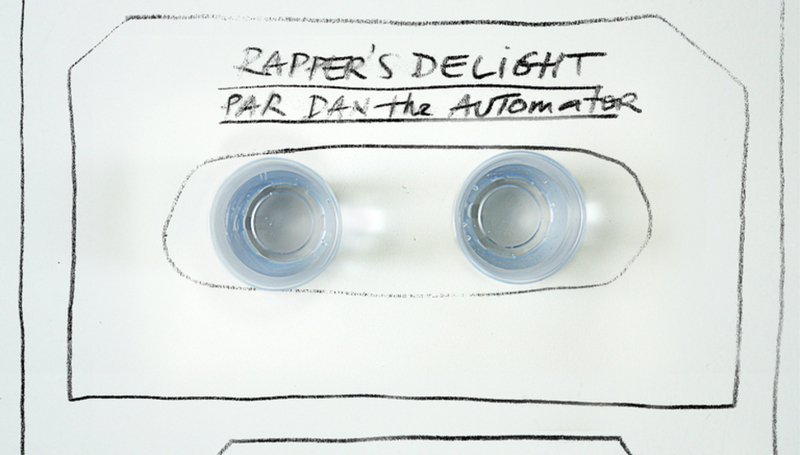 Automator wants your handywork to feature on a digital remix EP, though, so you'd best get working. And hard, the deadline is June 14, which is Sunday. Quick! Only the finest reworks will be selected for the EP. Download the individual parts here in HQ, then name your track as such RD "YOUR NAME" remix (E.G - RDLukeSlaterRemix). Then send it to RDremix@gmail.com. It'd be superb if you could post the links to your remix in the comments section below for people to say "OMG this is totally rubbs", "meh", or "this KIIIIIILS it, maaaaaaan", and other such phrases of internet exclamation. For those who don't want to twist knobs and dials, virtual or otherwise, then you can listen to a ready-made remix by TEPR here. Watch the two in question in action.